It’s new to the Holiday Season lineup, but don’t let that trick you into thinking it doesn’t have any history. That’s right, we’re talking Kwanzaa! Kwanzaa was officially created as a holiday by Maulana Karenga in 1968 to celebrate the history and culture of all people of African ancestry, but particularly African Americans - so the celebration is as much dubstep as it is djembe. The celebration begins December 26 and lasts seven days, enough time to sing songs, get together with friends, give gifts, send Kwanzaa cards, and find the right size dashiki for the final day of celebration. 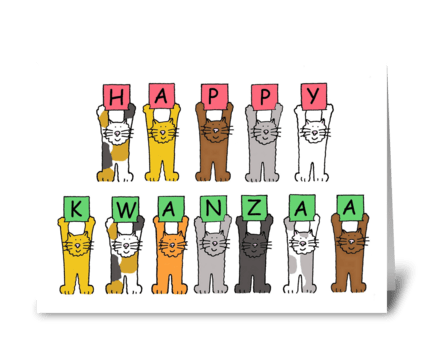 So don’t forget to take a little time to send Kwanzaa cards or greetings to your friends and family; whether it be your heritage or your family, Kwanzaa is all about keeping in touch. Kwanzaa was founded by Karenga in order to “give Blacks an opportunity to celebrate themselves and history,” and possibly because the food served for the other holidays was a bit too bland. Creating a uniquely African American holiday in the 1960s was in keeping with the spirit of the Civil Rights Movement which still coming to pass during that era, and it was also a fulfillment of the idea of Pan-Africanism. 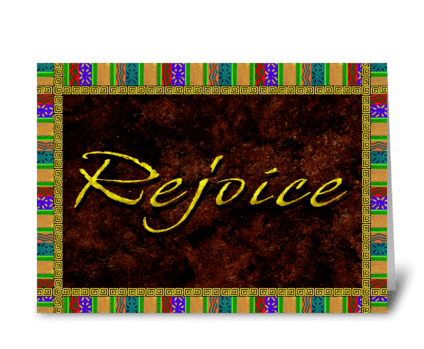 The celebration itself centers on the Seven Principles of Kwanzaa, with each day being dedicated to a different principle. The principles are: unity, self-determination, collective work and responsibility, collaborative economics, purpose, creativity, and faith – though the theme of kicking back for a good celebration runs throughout. The celebration concludes with a karamu or celebratory feast. 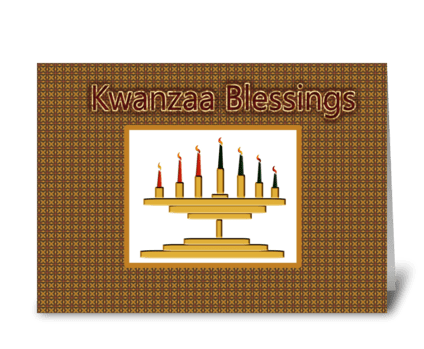 Don’t miss the opportunity to celebrate your heritage this Kwanzaa, but also keep in mind to send a card to your family for Kwanzaa. 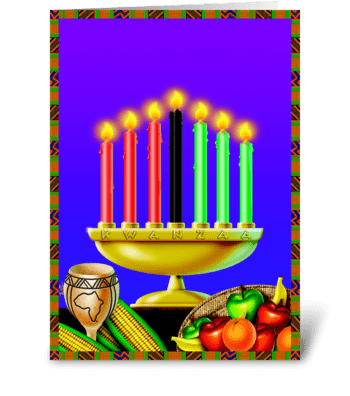 There’s no better way to send a traditional greeting of “Habari Gani” than a good Kwanzaa card, and they’ll enjoy their karamu more if they know you’re thinking of them.